Foxconn Interconnect Technology, a subsidiary of Apple iPhone assembler Foxconn, has acquired Belkin International for $866 million. Belkin is a manufacturer of accessories under brand names like Belkin, Linksys, Wemo and Phyn. Belkin International offers a wide range of products including USB cables and adapters, power banks, wireless charging pads, screen protectors and more. 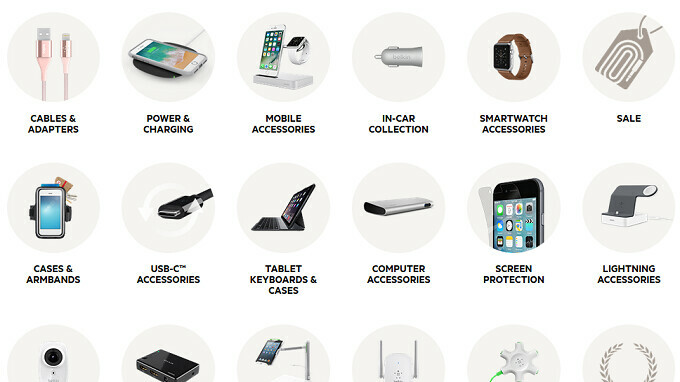 Belkin's accessories are available for the iPhone, iPad and Apple Watch. The Wemo brand sells automation products for the home using Apple's HomeKit platform. The Linksys brand is found on wireless routers, and the Phyn name is used for smart water monitors that check for leaks. It seems that Foxconn Interconnect Technology plans on using Belkin's strong R&D team and its product distribution platform to sell premium accessories, and products for consumers interested in turning their house into a "smart home." Belkin will get to invest more in R&D and add to its product portfolio. The transaction is also expected to increase the U.S. presence of Belkin and Foxconn Interconnect Technology. There is no word on when the deal is expected to close. I can’t believe Belkin is now being referred to as an iPhone accessory maker. I’ll always remember Belkin as one of the first great surge protector companies. It's all about the headline! I thought the rest of Alan's article described Belkin and it's brands quite well. Why mention apple again....jeeeeezzzzz! Like Belkin is only an apple accessories maker, they do more than that. But like always PA loves to include apple in their articles, probably PA gets money from apple to include their name!